Ahoy! 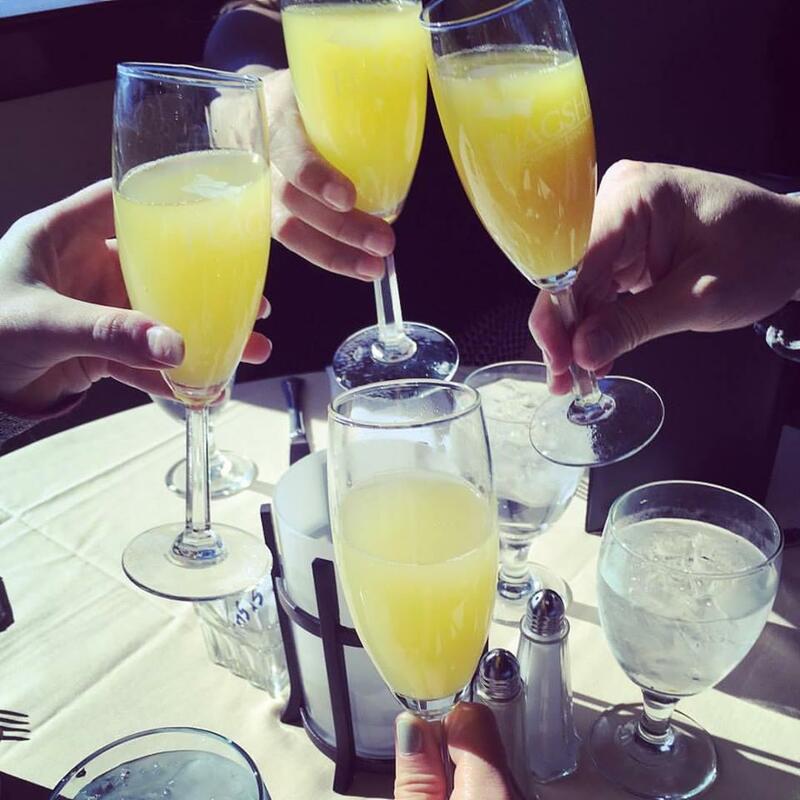 Jump aboard the Flagship Cruises and Events Sunday Champagne Brunch. 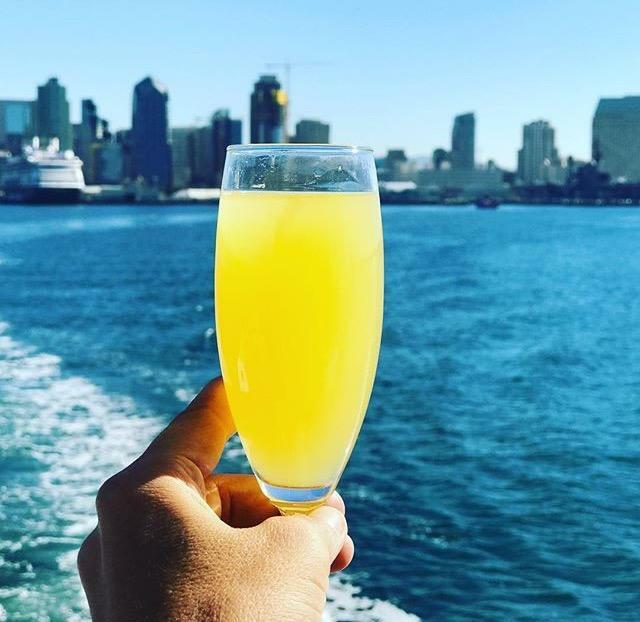 Enjoy sunday funday with a stunning views of San Diego; sail away on a two-hour scenic cruise with a complimentary mimosa in hand. 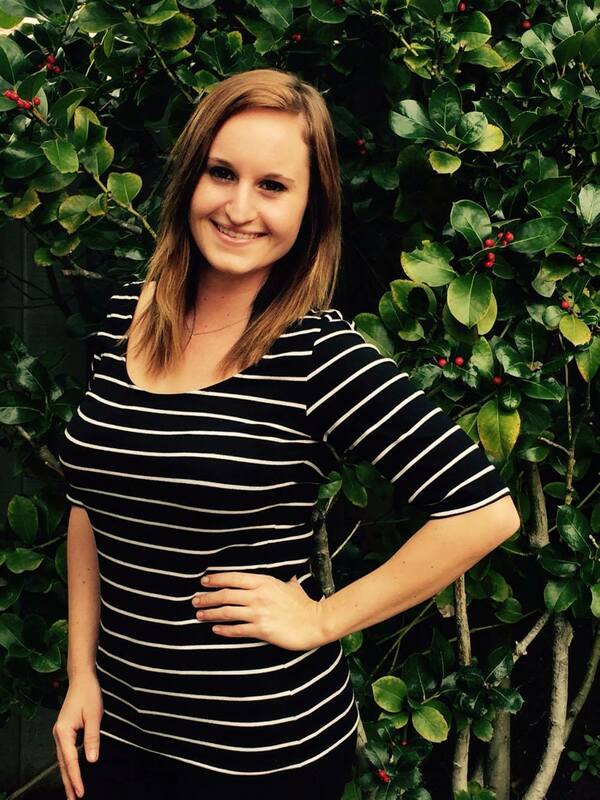 Flagship Cruises and Events have been proudly serving the San Diego community since 1915. 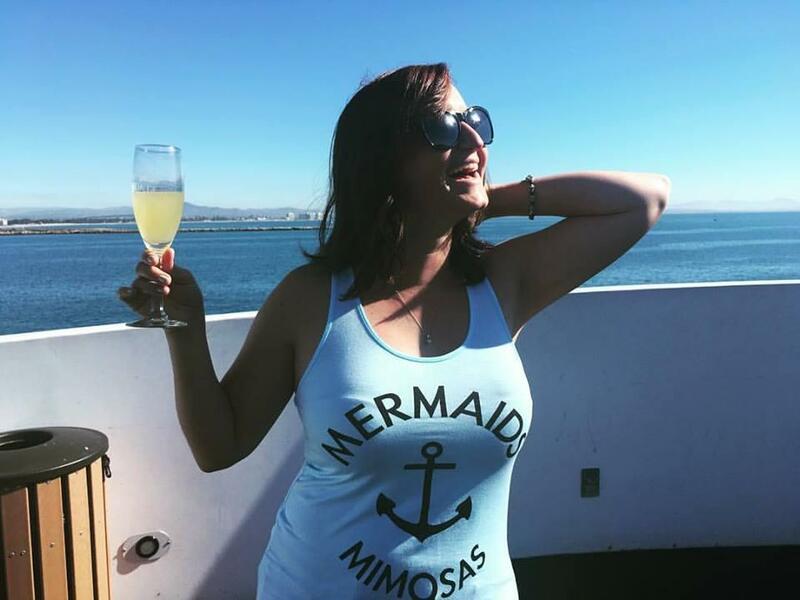 I’ve been on their regular cruises and have had a fantastic time but the Sunday Champagne Brunch brings brunch and cruising to a whole other level. 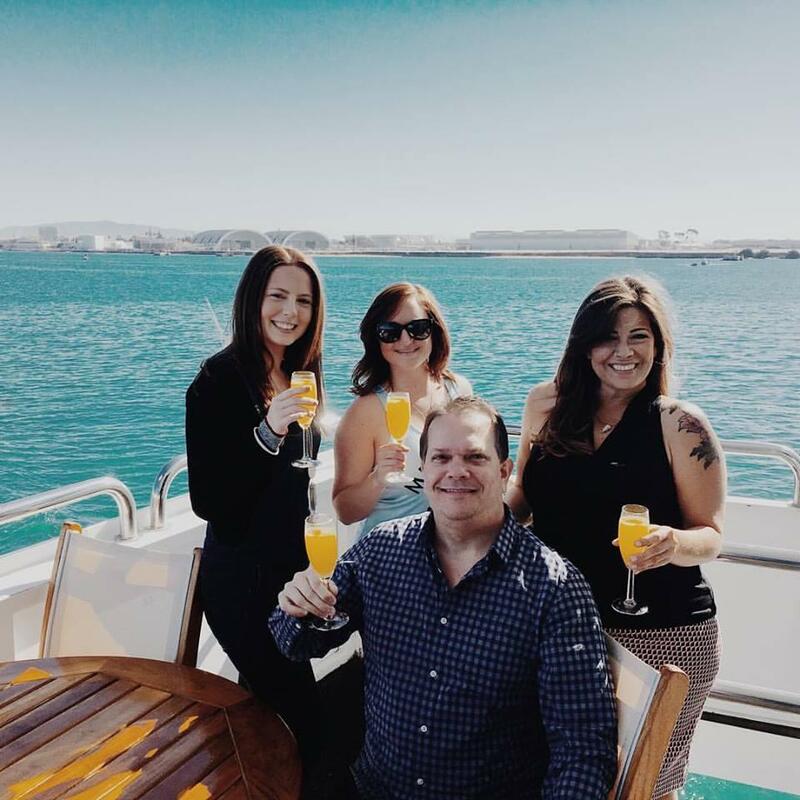 Highlights of the Sunday Champagne Brunch are refreshing mimosas, breathtaking views of the San Diego harbor, a scrumptious gourmet brunch buffet and live music. The 2 hour cruise route features the San Diego Skyline, U. S.S. Midway Aircraft Carrier, Star of India and the iconic ships of the Maritime Museum, North Island Naval Air Station, and (the most exciting!) under the Coronado Bay Bridge. 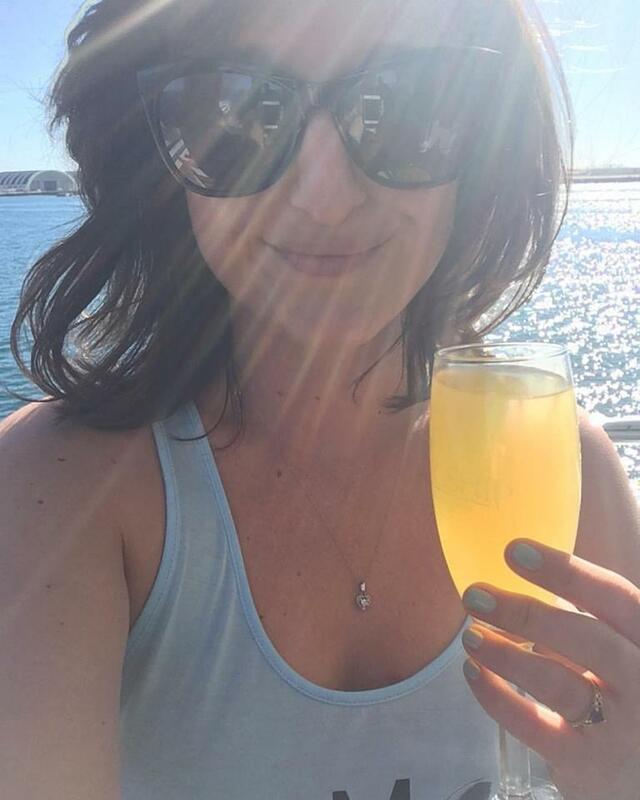 We sipped and savored mimosas and Bloody Mary’s and enjoyed tunes from the fabulous vintage vocalist Celeste Barbier throughout brunch. Their brunch is great for unforgettable dates or brunch with your best girlfriends. Make sure you make reservations as this brunch is in high demand. Natural, grass-fed choice beef sirloin and herb roasted turkey breast. Served with silver dollar rolls and accompaniments. Bloggers do brunch best. We kept hydrated with mimosas. Pictured with Ashley of Love & Mimosas, Sugar Jones of Live the Sweet Life & Rob of Downtown Rob.